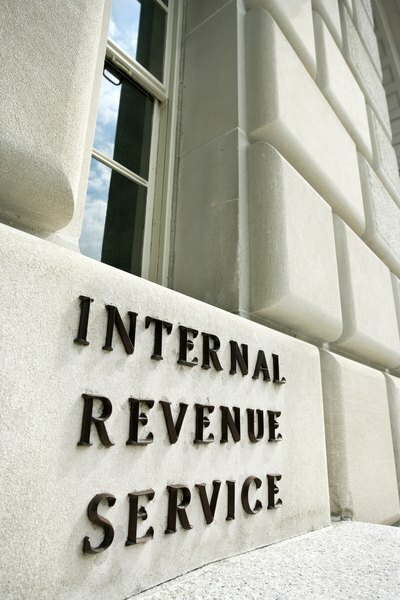 You'll pay income taxes, but not penalties, when the IRS levies your 401(k) plan. 1. Can I Pay the IRS From My 401(k)? While 401(k) plans all have the same purpose – to help workers save for retirement – they aren’t all structured the same. Accessing the funds in your 401(k) to pay off an Internal Revenue Service levy seems like a viable option, and it can be, if you have nowhere else to get the money to pay off your back taxes. But, there are a few things you need to know so you can do so without penalty. When you make a withdrawal from your 401(k) before the age of 59 ½, then you will face taxes and possibly a 10 percent penalty. You can, however, use a 401(k) to pay off an IRS levy without penalty if that particular 401(k) has been specifically levied, you are over the age of 59 ½ when you make the withdrawal or your employer allows for 401(k) loans. You must be at least 59 ½ to take withdrawals from your 401(k) without an early withdrawal penalty. You can also avoid this penalty if you can take out a 401(k) loan or the plan has been specifically levied by the IRS. The IRS does allow for hardship distributions, and a levy is one of them. According to the IRS, a financial hardship must be "immediate and heavy financial need." Yet, this does not mean that your 401(k) is structured by your employer to allow for such hardship withdrawals, so it is imperative that you familiarize yourself with your individual 401(k) plan. It also does not mean that the withdrawal won’t trigger the automatic early withdrawal penalty, unless the hardship qualifies for an exception. If the IRS has levied some of your accounts or assets, but not necessarily the 401(k) plan in question, then this is not an exception to the 10 percent early withdrawal penalty – even though it qualifies as a hardship. In order to avoid the early withdrawal penalty, the IRS has to have placed a levy on that specific 401(k) plan and not a general levy on all of your assets. However, if you are above the age of 59 ½ you are able access the funds in your 401(k) without the early withdrawal penalty. You can use this money as you see fit, even for paying off IRS levies. When the IRS places a levy on your accounts and assets to pay off back taxes, your 401(k) could be fair game. In this instance, not only does this levy likely qualify as a financial hardship, but it’s also an exception to the 10 percent early payment penalty. 401(k) plans are protected from garnishment by creditors, but not from the IRS. A general rule of thumb is if you are eligible to access the money in your 401(k), then so can the IRS. The IRS can levy your 401(k) if you are not restricted from withdrawing funds yourself due to age or other plan restrictions. For example, if you are under the age of 59 ½, or if you are still working for your employer, the IRS would not be able to levy the plan. This is because you typically cannot receive 401(k) distributions until a triggering event occurs such as your death, changing jobs, retirement or termination of the plan. Instead, the agency will look in other places to recuperate the back taxes you owe. If the 401(k) account in question hasn't been levied, you can take out a 401(k) loan to pay your back taxes, if your plan allows for it. The maximum amount you can borrow is the lesser of $50,000 or half of the plan's vested value. 401(k) loans are not like traditional loans from a bank or financial institution; there are no credit checks. You are essentially borrowing money from yourself then paying the principal and interest back to yourself. Also, there are no taxes due on the loan distribution and you won't be penalized for early withdrawal. Remember to report any federal income tax withholding from your 401(k) plan withdrawal when you file your income taxes. The amount withheld for federal income taxes is found in box 4 of the Form 1099-R documenting your withdrawal. If the IRS does not levy your 401(k), but does levy other assets that you want to protect, you can request a distribution from your 401(k) plan to pay off the IRS levy, but the exception won't apply. If you're not 59 1/2 years old, you'll need to request a hardship distribution, which requires that you show what the IRS calls an "immediate and heavy financial need." On your withdrawal request form, you'll need to note you need a hardship distribution in addition to providing your name, identifying information, account information and the amount you need to withdraw. Forbes: Should You Get A 401(k) Loan To Pay Your Taxes? Personal Capital Corporation: When Can You Withdraw From Your 401k Or IRA Penalty Free? When Is a Good Time to Buy Shares in My 401(k) Plan? Can a Trustee Refuse Your 401(k) Withdrawal?